An estimated 90 million Americans suffer from some snoring. 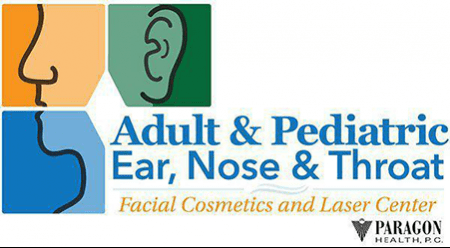 To find out whether or not you have a minor snoring issue or a more serious disorder called obstructive sleep apnea, visit Adult & Pediatric Ear, Nose & Throat in Kalamazoo, Michigan. Under the care of an expert team of ear, nose, and throat physicians, you’ll get personalized treatment and patient-focused care. Snoring and sleep apnea are two separate conditions that share similar symptoms. It’s important to understand the difference between them, however, as the treatment for each issue is unique. Snoring results when the tissues in the throat are relaxed to the point that they partially block your airway. When this happens, the tissue vibrates and creates the sound of snoring. Snoring can be loud or soft, depending on individual factors like body weight or sleeping position. Loud snoring often characterizes obstructive sleep apnea (OSA). It also causes the sleeper to take shallow breaths or pause during breathing while they are asleep. If you have OSA, your breathing patterns are abnormal during sleep, and being overweight or having large tonsils can worsen those patterns. How are Snoring and Sleep Apnea Treated? Snoring and sleep apnea can be treated in several different ways, and outcomes depend on the individual. With snoring, treatment may include a weight loss plan, a decrease in alcohol consumption, trying new sleeping positions, or using nasal strips to open up the airways passages. In extreme cases, surgery might be necessary to help reconstruct the nose and sinuses. With OSA, many patients need to use continuous positive airway pressure (CPAP) machines, which use a mask that fits over your mouth or nose. The mask is attached to a tube that blows air into your lungs and maintains air pressure so you can breathe normally while you sleep. Snoring treatments vary from one individual to the next, and your results depend primarily on how well you can maintain consistency with your treatment plan. Sleep apnea, for example, can often be significantly reduced or cured with weight loss and lifestyle changes. Usually, snoring subsides or lessens when underlying sinus problems such as allergies are treated. You can improve your results and reduce your symptoms by maintaining a regular sleep schedule, avoiding alcohol consumption, and keeping your room free of allergens that might interfere with your breathing. To learn more about snoring and sleep apnea treatment, book an appointment today using the easy online scheduler.